September 8th, 2016 By: GGT Category: 2017/03 release, Figure News. Good Smile Company is going to release the Nendoroid No. 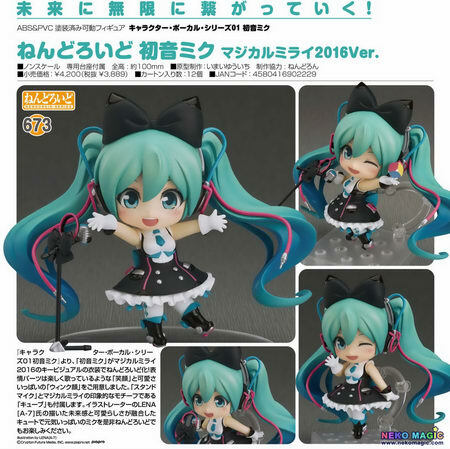 673 Hatsune Miku ( 初音ミク ) Magical Mirai 2016 Ver. ( マジカルミライ2016Ver.) 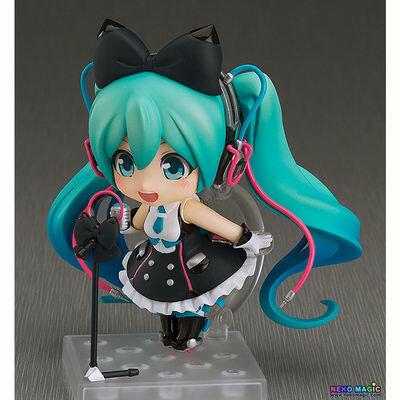 action figure from the popular singing synthesizer application “Vocaloid 2” ( ボーカロイド2). Will be released in March 2017. Around 100mm tall, 3,889 yen. 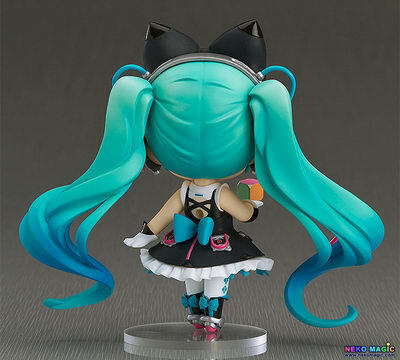 Preorders of Nendoroid Hatsune Miku: Magical Mirai 2016 Ver. 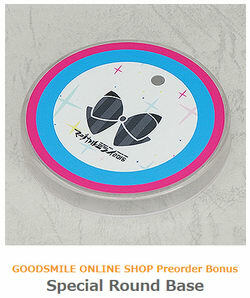 from the GOOD SMILE ONLINE SHOP will include a Special Round Base as a bonus! The bonus will be sent at the time your product is ready to ship. Designs shown here is for illustrative purposes only. The final product may differ. 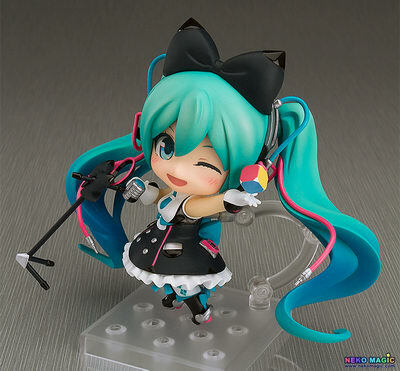 From the ‘Character Vocal Series 01:Hatsune Miku’ comes a Nendoroid of Hatsune Miku wearing her outfit from the main illustration of the Magical Mirai 2016 event! 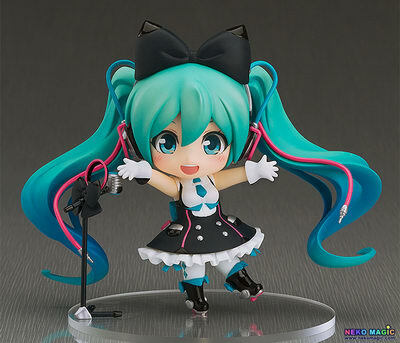 She comes with both a smiling face plate as if happily singing as well as a cute winking face plate. A microphone stand as well as the ‘Cube’ from her illustration are also included as optional parts. 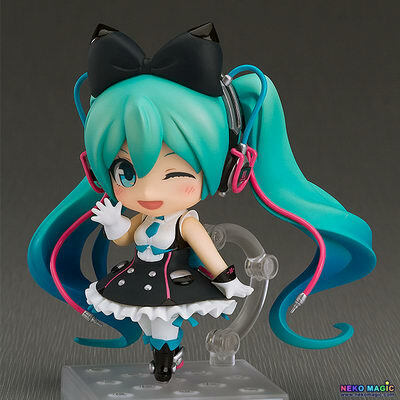 Enjoy the adorable, futuristic Miku illustrated by LENA[A-7] in Nendoroid size!